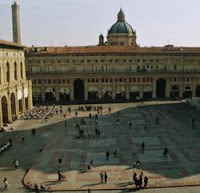 If you want to go to a place with a rich history feeling surrounding you then Bologna is the right destination for you. They have a medieval centre where you get to find lots of beautiful churches and interesting buildings (in Baroque or Renaissance style). There are great museums around the city centre you might be interested in or you might want to visit oldest university in the Western world. The best time for a holiday in Bologna is the summer (around July to August) and you can enjoy their great nightlife especially in Parco Cavaioni where there are open air disco nights. Aside from the great construction and sceneries, Bologna is also a great place where you could try delicious food. You should try the tortellini. Bolognese pasta originated here so get ready to eat the best pasta dish you have ever had. Also try the special salamis or the special hams that are common sight in Bologna. Whatever your reason to visit Bologna, you will definitely enjoy your stay in this city.